We are thrilled to release our recording of the Woody Guthrie/Martin Hoffman song, “Plane Wreck at Los Gatos (Deportee)”! Check it out on our music page. Also available at CD Baby, iTunes, and Spotify. 2019 is off to a great start! Our goal this year is to release several singles (meanwhile, Kristin is writing official album no. 2). We’ve wrapped on the first single, which we will release in February, and we recorded a commissioned song, written by Kristin and Jane Gillman. Last year, Carolyn launched a fundraising effort for Songs for the Soul, a non-profit organization located in Austin, Texas dedicated to offering programs, information, and support for caregivers of society. So far, S4S has raised over $43,500! This fall, Carolyn is now conducting four programs for her dissertation research study, “A Feasibility Study to Evaluate Storytelling Through Music to Improve Well-Being in Oncology Nurses,” Study Number 2018-05-0061, at the University of Texas-Austin. To fund her research, Phillips has raised an additional $43,000 in grant awards from the American Cancer Society, the Gordon and Mary Cain Excellence Fund for Nursing Research, the Central Oncology Nursing Society, and the Mary Walker Dissertation Award! Two programs have been completed, and two more are in progress! Regional Finalists at Kerrville Folk Festival! Excited to be one of 10 regional finalists at Kerrville Folk Festival! We will perform on Friday, May 25. We'd love to see you there! "Song for my Soul," written by Kristin and Carolyn, was one of 30 artistic expressions selected by the National Academy of Medicine's pop-up gallery, showcasing expressions of clinician well-being, on May 2, 2018, in Washington, D.C.
"Phillips and Davidson balance each other perfectly . . ."
". . . in their harmonies and playing." 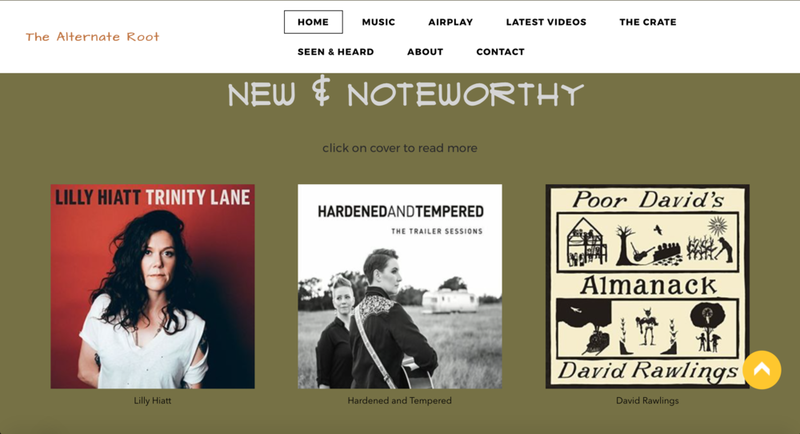 Thank you, Adobe and Teardrops, for the thoughtful review of The Trailer Sessions, and for including "Hard Winds" on your podcast! Read the full review HERE. Listen to Episode 4 the Adobe and Teardrops podcast HERE. Thank you, Joe Angel, for including The Trailer Sessions among your favorites for 2017! We are honored that The Trailer Sessions was selected by Norm Mast and Al Kniola to be on The Back Porch's (WVPE) Top 25 Albums of 2017 list! Carolyn presented to first-year medical students about compassion fatigue, burnout, and the use of storytelling and music to foster an environment of compassionate care. 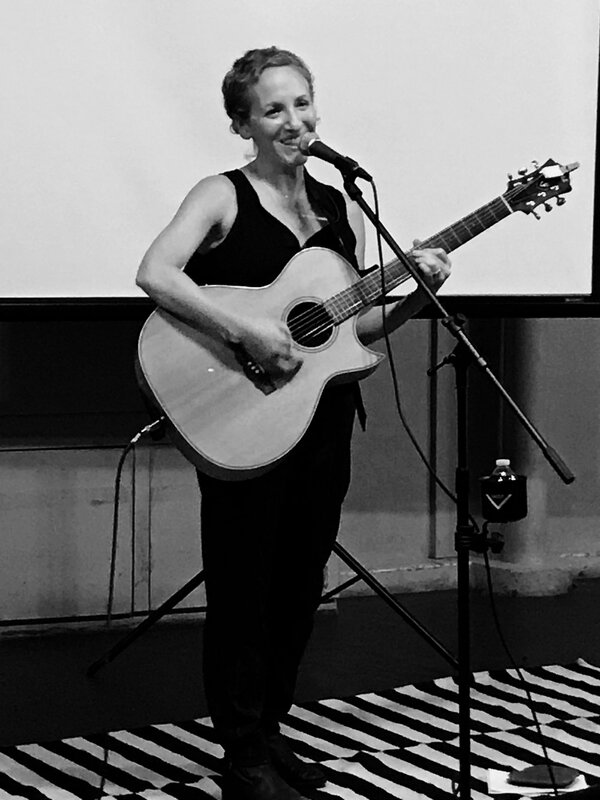 Hardened and Tempered performed the song, Heart Rubbed Raw, that Kristin co-wrote with nurse Jennifer Montano-Hernandez, during the pilot program for Songs for the Soul. We had a great time Saturday morning on Random Routes! We loved meeting new friends at SWRFA. We were honored to be one of the Official Showcase artists. Thank you, Music Connection House Concert Series! Helping University of Texas student organizations raise almost $2,000 for hurricane relief efforts. Thank you, The Alternate Root Magazine! "...Hardened and Tempered infuse their characters with hard-won dignity and a pride born in beating the odds as they push against the grain..."